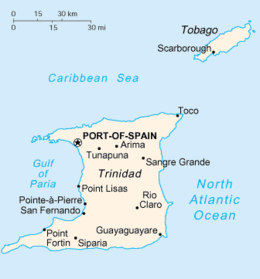 Trinidad is the larger and more populous of the two major islands of Trinidad and Tobago. 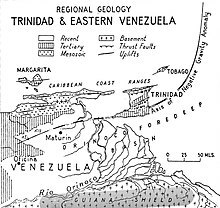 The island lies 11 km (6.8��mi) off the northeastern coast of Venezuela and sits on the continental shelf of South America. Though geographically part of the South American continent, from a socio-economic standpoint it is often referred to as the southernmost island in the Caribbean. With an area of 4,768 km2 (1,841 sq mi), it is also the fifth largest in the West Indies.